The UK may be ranked as one of the best countries in the world to start a business, but evidence from growing skills gaps, and the decline in graduates’ entrepreneurial aspirations suggest that higher education may not be contributing as it should to the enterprise environment. Enterprising Education in UK Higher Education brings together the challenges of embedding enterprise education in universities and colleges, identifies current debates around their roles and explores research, theory and practice to deliver roadmaps for innovative enterprise education. This book provides solid and clear guidance to practitioners and academics who are starting their journey into enterprising education, as well as those who are more experienced, but understand that the traditional approaches limit the options of future graduates. 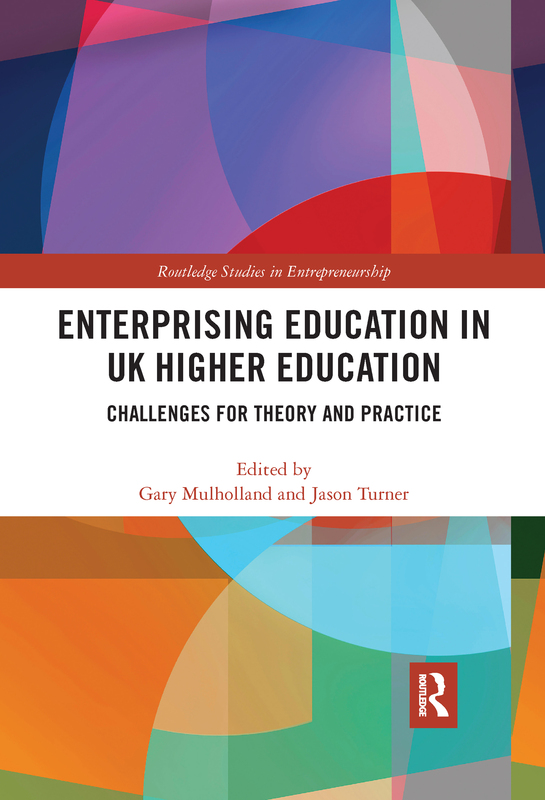 It collates the theory and practice of enterprise education in the UK higher education sector and business engagement with wider stakeholders. Drawing on theory and best practice, and illustrated with a wide range of the examples and cases, it will provide invaluable guidance to researchers, educators, practitioners and policy makers. Are the dominant teaching theories in higher education adequate to underpin teaching practices in enterprise and entrepreneurship context?